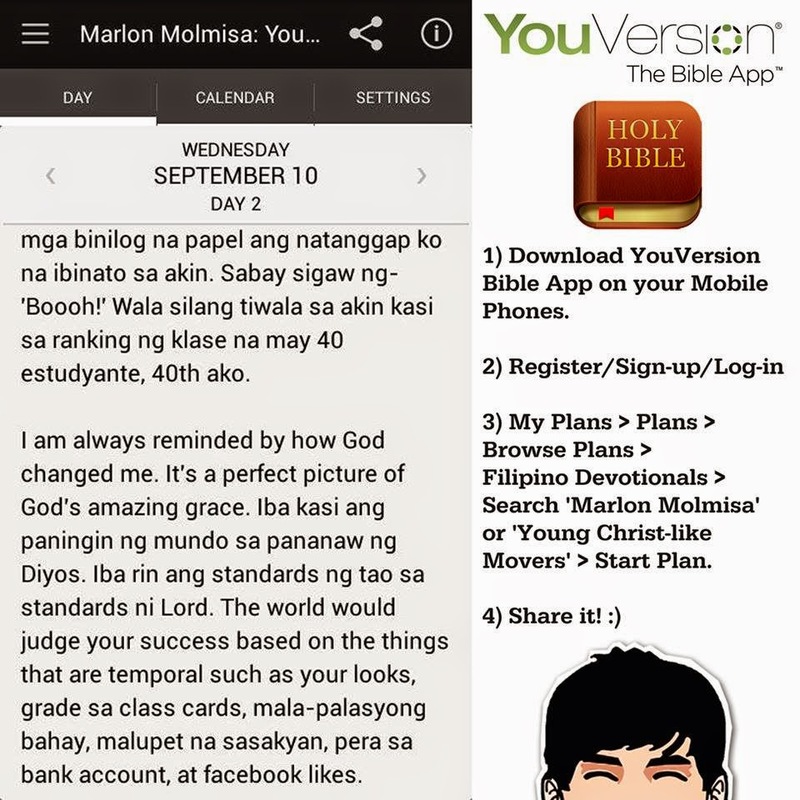 Kakaibang experience maging parte ng largest Bible App sa buong mundo (with 150+ Million downloads). You can now subscribe to my 7-Day Youth Leadership Devotional. I give God all the glory! Hope you share it. Let's inspire the youth and change the world. 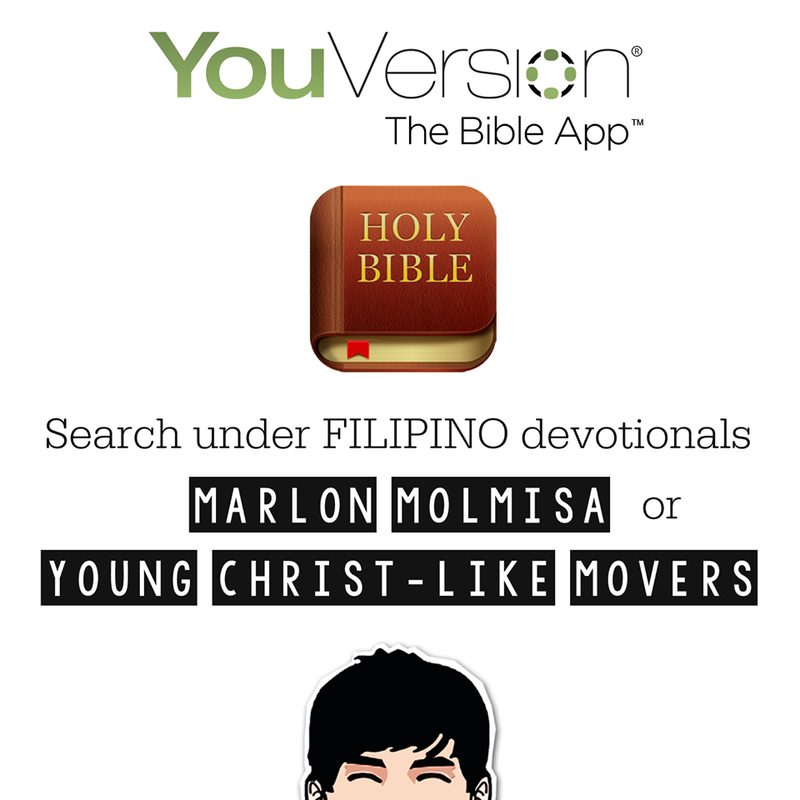 Download 'YOUversion Bible App' > Log-in > Plans > Browse Plans > Filipino Devotionals > Search 'Marlon Molmisa' or 'Young Christ-like Movers' > Start Plan.